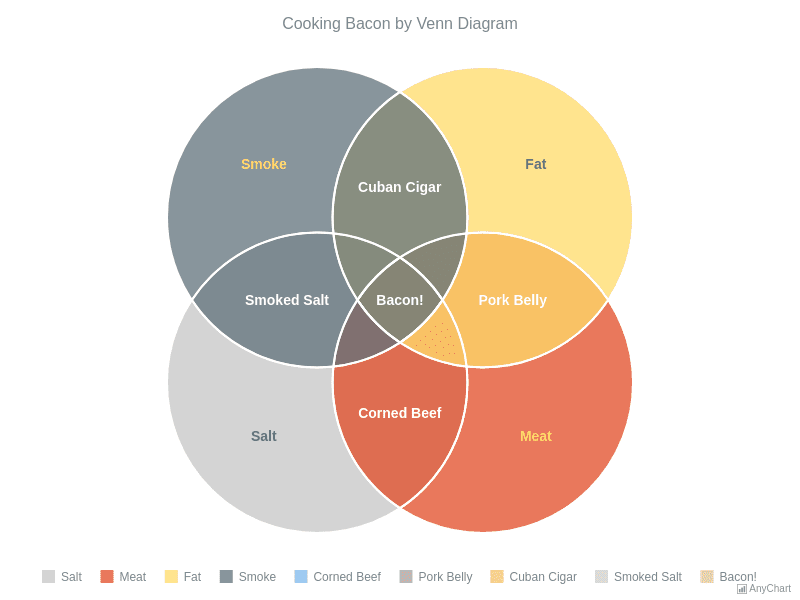 Cooking Bacon by Venn ChartVenn Diagram showing the most popular bacon ingredients. Text formatting for chart labels is set up from data. 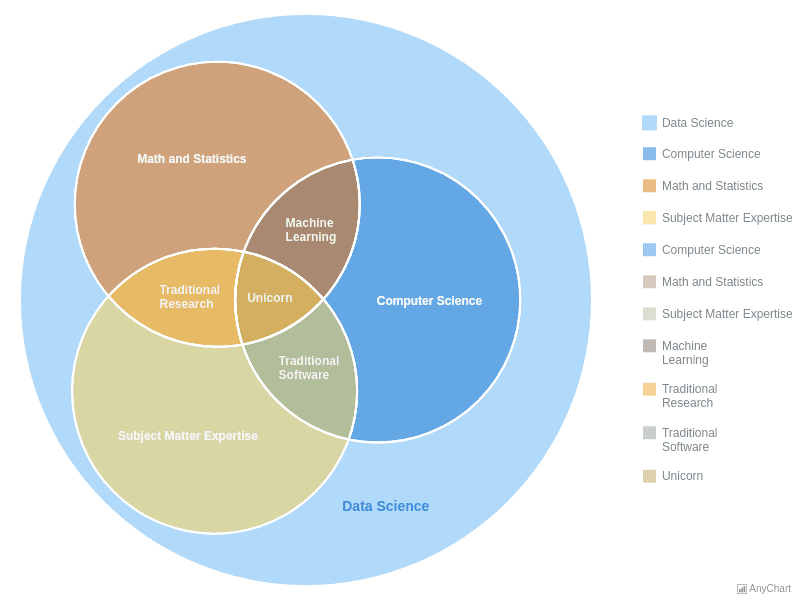 Data ScienceVenn Diagram of data science skills. Some points and intersections fall within other points and intersections, making it easy to observe any kind of nesting relationships between points or sets represented on the chart. 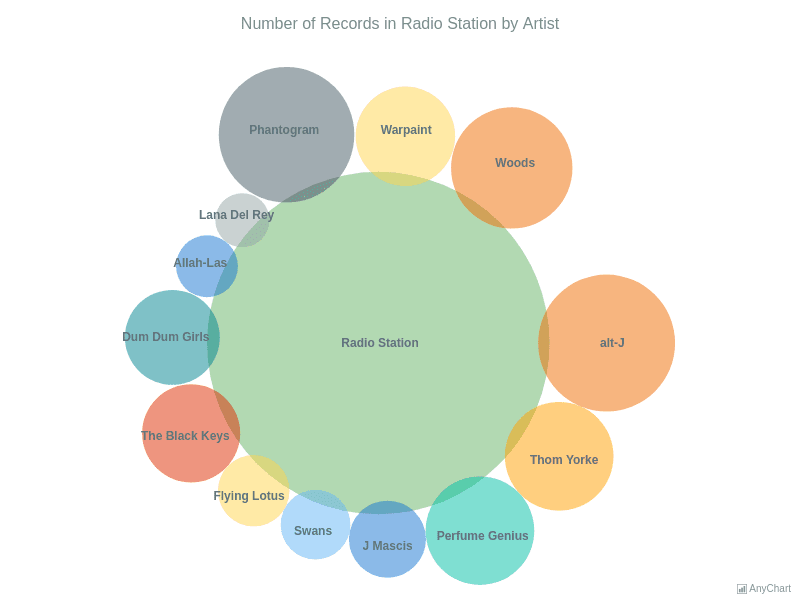 Number of Records in Radio Station by ArtistVenn Diagram displaying that one primary point intersects with all the other points and the latter intersects with the primary point only. The chart uses customized formatting for tooltips. 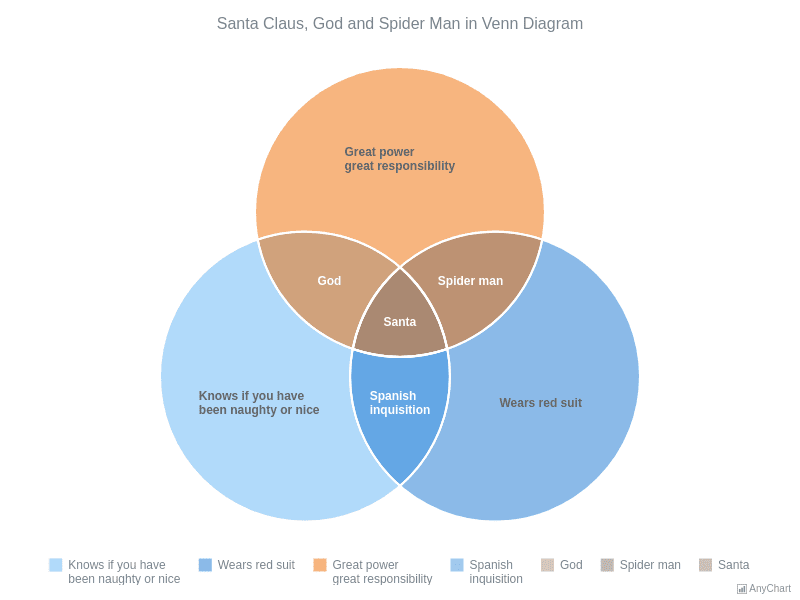 Santa Claus, God and Spider Man in Venn ChartVenn Diagram, a basic charting sample. The chart plots three points, each having the intersection with the others. 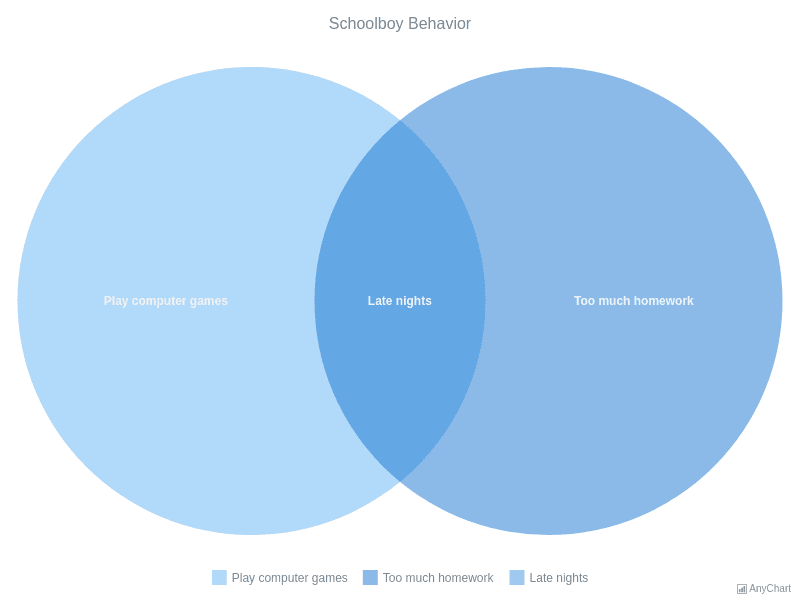 Schoolboy BehaviorVenn Diagram, a minimalist charting sample. The chart uses the default separator to depict the intersection of points.